SUNDAY’S Irish Curling Association 19th Annual General Meeting at Hamilton Ice Rink saw a major changing of the guard regarding office-bearers. 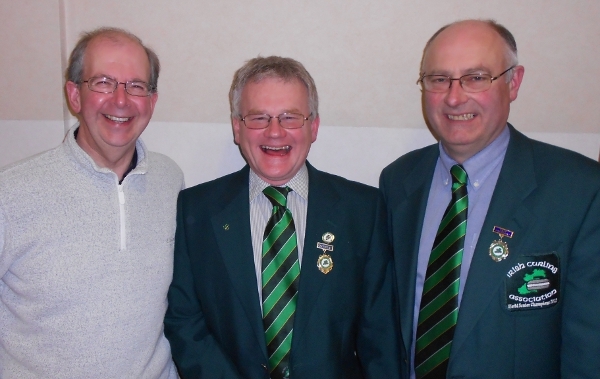 Treasurer: David Whyte, President: Peter J Wilson and Secretary: Bill Gray. John Burns, after 20 years as Secretary, is standing down and Ron Paterson is closing his account as Treasurer after 11 years’ service. 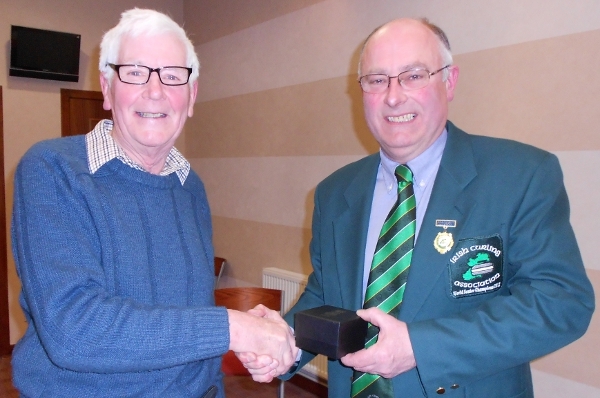 ICA President Bill Gray paid tribute to both men for their exceptional service to the Association over many years and, in John’s case, since the inception of the ICA in December 1993. 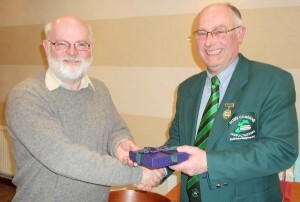 John and Ron were both presented with a memento by Bill on behalf of the ICA as a token of everyone’s appreciation. John and Ron expressed their thanks and appreciation. Bill Gray stepped down as President after completing his two-year stint, handing the reins over to PJ Wilson. 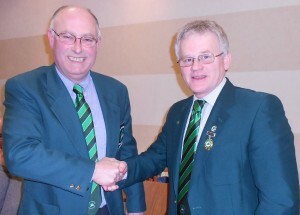 Bill will now replace John as Secretary and David Whyte will take over from Ron as Treasurer. Elected to the committee were Johnjo Kenny and Louise Kerr. The rest of the committee were re-elected.